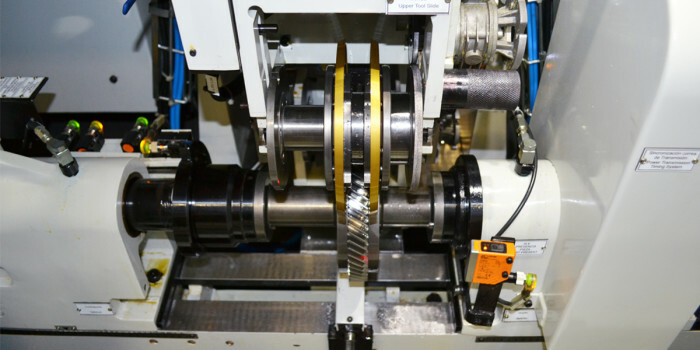 The SCT 3 Universal Chamfering and Deburring Machine with two tool heads has been designed for manufacturing spur and helical gears. The SCT 3 features a shuttle feed loader for manual loading/unloading as standard and can be easily connected to a variety of automation systems or robots. 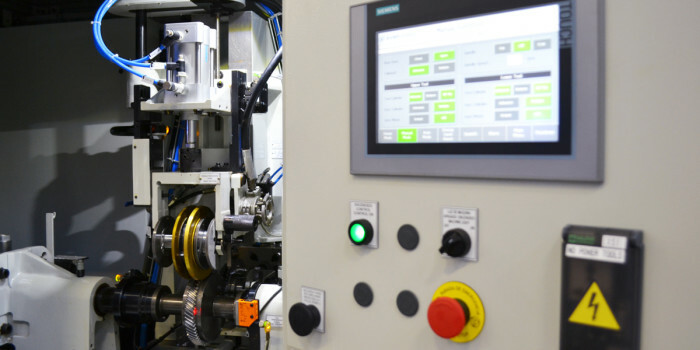 The chamfering and deburring machine is a result of the technical collaboration between Samputensili Italy and Grind Master India in the field of advanced gear deburring and chamfering machines. Samputensili is a world-famous global supplier of machine tools and cutting tools for the gear manufacturing. Grind Master is well-known for its expertise in metal finishing, deburring and micro-finishing. Deburring operation using proven and reliable Samputensili deburring tool heads, spring-loaded to compensate for face width variations. Chamfering operation using the patented Samputensili chamfer and chamfer-roller tools for a better final result. Self-centering tools guarantee symmetrical chamfers on both sides of the workpiece even in the instance of slight displacements between adjacent teeth (for example cluster gears). The two tool heads are meshed with the workpiece by pneumatic cylinders to compensate workpiece runout. This results in symmetrical and constant chamfers on all teeth.